There’s no anonymous support group or official medical diagnosis for social media addiction — at least not yet. However, new research suggests that compulsive use of these social media network sites may be more than an innocuous habit. Fueled by his curiosity about human behavior both online and off, Dar Meshi is studying social information processing, social influence and social decision making as an assistant professor in the Department of Advertising and PR. Meshi’s unique background in both neuroscience and advertising makes him the perfect fit for ComArtSci. When he came across the college’s job posting last year, he felt it was the ideal opportunity to further his research. With his first semester at MSU now under his belt, Meshi plans on using the spring semester to develop a way to collect more accurate data for his studies. He has hired a computer science student to program an app that can be downloaded onto cellphones to track the amount of time a social media application is open. 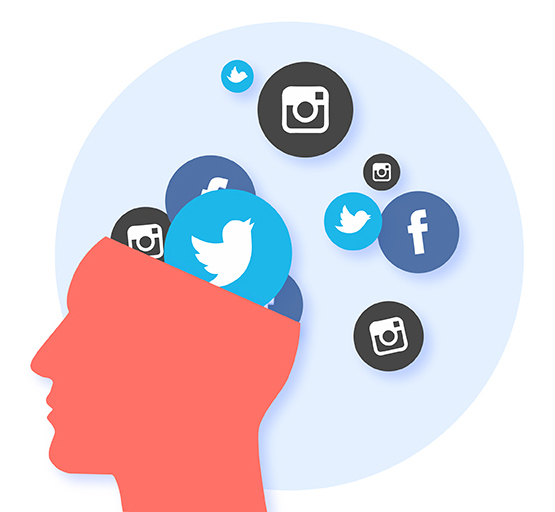 “Overall, my research program is aimed at better understanding excessive social media use or just how regular social media use is associated with factors such as depression, mood and substance use,” said Meshi.